Today I want to talk about the Big Bang nucleosynthesis. 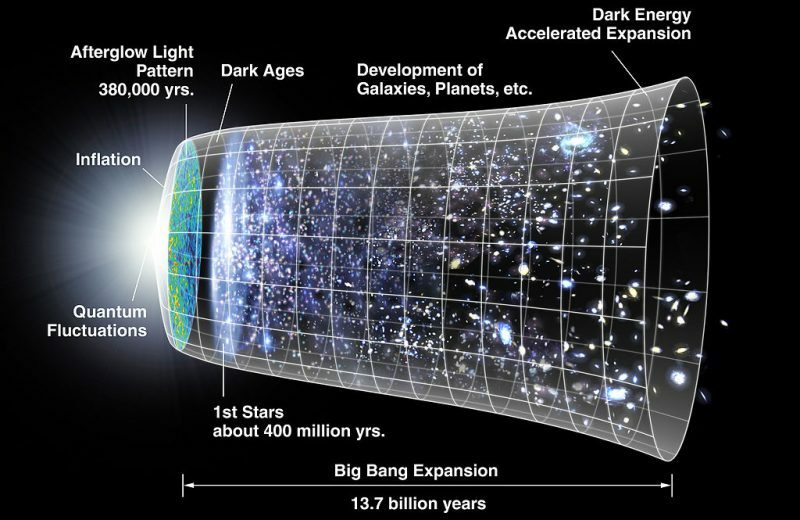 If you remember, I told you that the expansion rate of our universe is neither has been constant. It has accelerated over other periods. After one of the periods of accelerated expansion because they had too much energy for the space available there was an “explosion” of wave functions. That is, after increasing available space began the formation of matter thanks to the energy collided with electrons, protons, positrons and antiprotons, making the different strings that, in turn, created more materials vibrate. The misfortune of the moment is that there was still too much energy to create atomic nuclei as we know them. This kind of soup was so thick that although they had formed (by chance) atomic nuclei electron and stable protons, opened as a ‘milk “with another energetic particle causing the atom is destroyed, either by fission (splitting) or because he will meet with some antiparticle to do to disintegrate releasing energy as photons. In addition, as is known by the Dirac experiment with shocks electrons and positrons are created, which party matter and antimatter continues. At present, the universe continued to expand becoming one of the great mysteries of the universe, because matter won the antimatter. The fact is that, over time, expansion and cooling energy is lost getting the “atoms” formed (as mentioned above) were somewhat stable over time. This period is called nucleosynthesis and must think that the atoms that formed were nothing to rave about. As the majority (75%) hydrogen, helium and the remaining 24.9 mainly lithium. Come on, little heavy atoms, although we hydrogen heavy hydrogen (deuterium). Atoms and elements of what we know is not formed at this time of the universe until much later in the stars with your gravity and expulsion of its layers due to its “conversion” of hydrogen to helium. Well, something that I have already told many times.